TVPlayer is launching a premium add-on service, allowing viewers to access extra channels including Discovery, British Eurosport and Gold streamed to their TV, computer or mobile device. The new service, named TVPlayer Plus, will enhance the existing free TVPlayer service, used by over 500,000 regular users, which will continue as normal. TVPlayer Plus subscribers will also benefit from an enhanced viewing experience, including catch-up TV. TVPlayer Plus will be priced from £4.99 per month (with no contract) and enables live streaming of 25+ premium television channels, including Lifetime®, HISTORY®, H2®, Crime + Investigation, Gold, Alibi, Watch, Good Food, Eden, Home, Discovery Channel, TLC, ID (Investigation Discovery), Animal Planet, Discovery Turbo, British Eurosport, British Eurosport 2, National Geographic Channel, Nat Geo WILD, Sony Entertainment Television, Sony Movie Channel, Boomerang, Cartoon Network, Cartooonito and BabyTV. Relevant "+1" channels will also be available. Additional channels are expected to be announced. TVPlayer is already available on iOS, Android, Amazon Fire TV, Mac and PC. Additional devices available at the launch of TVPlayer Plus will include selected Smart TVs, the Amazon Fire TV Stick and Google Chromecast. TVPlayer expects to announce its availability on additional internet-connected devices later in the year, including on a prominent games console. An app for Windows Phone is also in development. UKTV channels (Gold, Alibi, Watch, Good Good, Eden, Home) will be limited to iOS, Android and PC. Simplestream says that live video streaming is the fastest growing element of Over-The-Top (OTT) services according to the 4Q2014 FreeWheel Video Monetisation report. In addition, video ad views on first run series are up 67% year-on-year,whilst viewership amongst millennials on traditional TVs, shows signs of decline, as measured by Nielsen. TVPlayer is the first major OTT platform in the UK to combine an ad-supported basic pack with optional pay packs, with over 100 channels in total. TVPlayer is therefore expected to be a major beneficiary of the roll-out of US trends in the UK. TVPlayer Plus is targeted at two distinct groups; Millennials and ‘Pay TV Holdouts’. The former has often never subscribed to a paid television service because they have not been in the position to do so. In contrast, the holdouts have consciously made the decision not to subscribe to traditional pay TV before. Many in the target group will have subscribed to services such as Netflix to supplement their free-to-air viewing. TVPlayer Plus aims to attract customers by offering over 100 channels on a single platform at an "attractive price point." 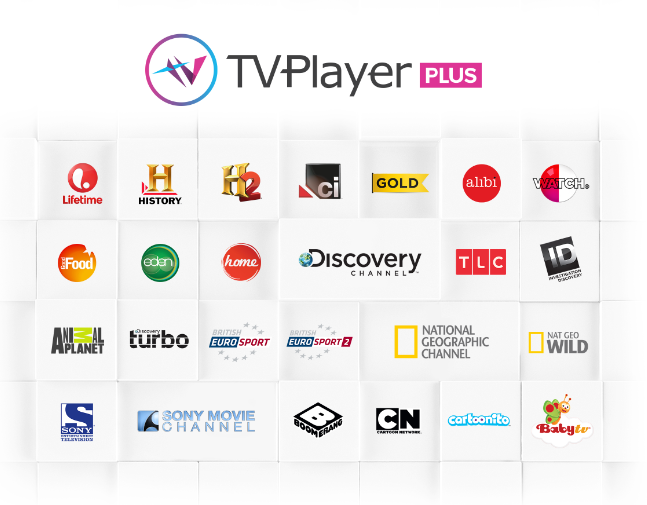 Existing users of TVPlayer can pre-register for a one-month trial of TVPlayer Plus at http://plus.tvplayer.com from today. I kind of agree that choice is a good thing, but the market is so fragmented now it is hard to make an informed choice about which service is best!? 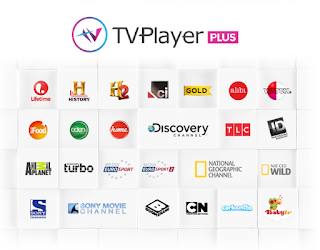 Note that TVPlayer Plus channels, with the exception of Gold and Discovery, complement Now TV. And if you wanted to stream the channels to a smart TV, only Discovery overlaps. It really depends which channels interest you the most. Very similar to the selection of channels from VuTV. Isn't this run by the same company? I guess VuTV will have to now offer a greater selection of channels too especially as it costs £6.99 pm. I have Now TV and use Pluto TV through my Chromcast and I think that TV Player Plus has a good range of channels and is well priced. I have long wanted these channels on Now TV which does have the advantage of catchup after broadcast and premium content like Sport and Films. This range of channels seems to be the new Top Up TV in the era of home broadband.